You protect every inch of your house, so why not extend those property values to include your front door? Storm doors, which affix to the area in front of your entry door, can shield your door from the elements as well as provide a number of other additional benefits. 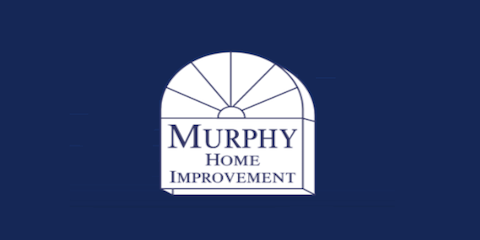 Murphy Home Improvement services the Cincinnati, OH, area with door replacement and installation services. With an impressive showroom, they’ll help you find the ideal storm door for your home. Protect Your Entry Door: A storm door can effectively prevent stains, chips, and dings on your front door as it blocks it from harsh weather and wind-blown debris. Ventilate Your Home: In the summer months, you may not want to have your air conditioning unit on full blast. Instead, open the windows and leave your front door wide open. The storm door will keep the fresh air coming in but will stop any pesky bugs or other pests from entering your home. Secure Your House: Storm doors add yet another obstacle to potential burglars. The extra door and its lock will deter thieves from attempting to enter your home—additionally, if you don’t have a peephole on your door, you’ll be able to open your entry door to see who’s out front without letting them inside. Light Your Home: Nothing’s better than having the morning sun stream in through your windows. Allow more warm, natural light to enter your home by opening your front door. The storm doors will allow the light to travel through but will still keep your property secure. If you’re interested in adding storm doors to your home, contact a professional to find the perfect door. Murphy Home Improvement offers a wide variety of products to choose from, including doors from manufacturers like Precision and Sugarcreek. Their experienced professionals will help you decide on a door and will install it for you. Add storm doors to your house for further protection and convenience. Murphy Home Improvement will install your new doors after helping you choose from their wide selection of products. For more information, call (513) 922-8989, visit their website, or stop by their showroom today.